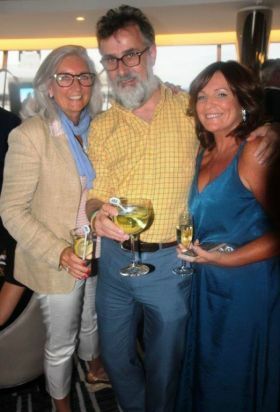 Mr James Murty (Associate Editor Daily Mail) with Bernie Burke (Travel Centres) and Ita Hendrick are on their way to the Edge cocktail bar. James looks a little shaken and not stirred. This pre-dinner bar is an ideal spot to join friends for an aperitif or enjoy a refreshing drink at any time of day. Recommend you try the Gin Orange and Ginger.